Discover our admissions process or enroll online right away! What is the Bright Riders Experience? Take a look into a day in the life of a child at Bright Riders School in Dubai. CAMPUS	What is the Bright Riders Experience? ACTIVITIES	Our students will interact with the real world. ACADEMICS	KG1- Grade 6 following Indian curriculum CBSE. 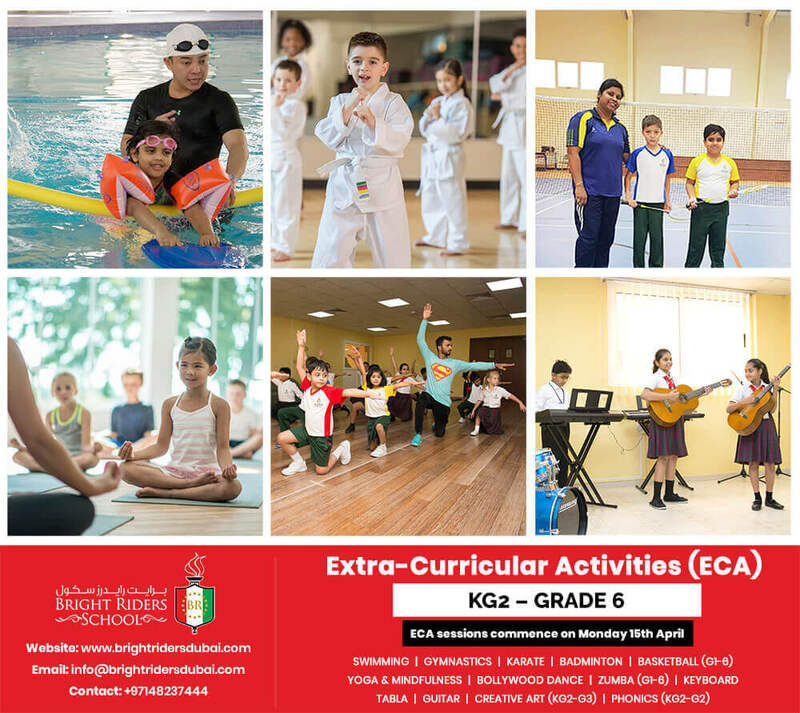 Bright Riders School, Dubai located in the commercially upcoming Dubai Investments Park 1 is a K-12 Indian School offering CBSE curriculum. In partnership with parents and the greater community, Bright Riders School, which commenced its operations in April 2018, strives to develop in students a lifelong love of learning, responsible citizenship and personal integrity which are grounded in the values of trust, honesty, and respect. Thank you for your interest in Bright Riders School, Dubai. Bright Riders will be your child’s second home. Our vision is to nurture the bright minds with the same love and care as at home. We believe children blossom in places where they feel secure and comfortable. Our schools are world-class facilities equipped to provide a rich and invigorating learning experience. We provide for an environment where students can discover, develop, nourish and nurture their talents and interests. I am excited to be heading one of UAE’s young and dynamic schools. We are committed to providing a strong foundation to all our students. As the popular saying goes, the deeper the roots of wisdom, the higher you can fly. At Bright Riders, we want our students to soar as eagles and discover the pinnacle of their capabilities. A holistic education, an open and free-thinking mindset, and varied nationalities and ethnicities under one roof, is what Bright Riders students will be able to experience. Come, join the Bright Riders community. To provide highest quality of education & fulfilling each & every child’s educational & developmental needs in a safe, secure & nurturing environment. To provide education of the highest quality for Indian as well as international students. To ensure that every child in our care develops into a progressive thinker & lifelong bearer of skills that will prepare him for the challenges of a dynamically changing world. To ensure that every child is empowered to make choices & is encouraged to contribute to the community. To foster a spirit of international awareness & understanding throughout the community, encouraging mutual respect, sound values & proficient communication. Visual Arts in Bright Riders School is part of our regular academic program. Our KG curriculum is inspired by the most innovative and internationally acclaimed teaching pedagogies from around the world i.e. EYFS. Primary curriculum follows a pedagogy that is based on the principles of holistic development of every child and involves learning activities that make students ‘think’ and ‘do’ in the process of learning. Our curriculum complies with CBSE syllabus and ensures development of skills that are applicable in an international context. Our teaching and learning methods revolve around cognitive, psychomotor and effective domains of learning.